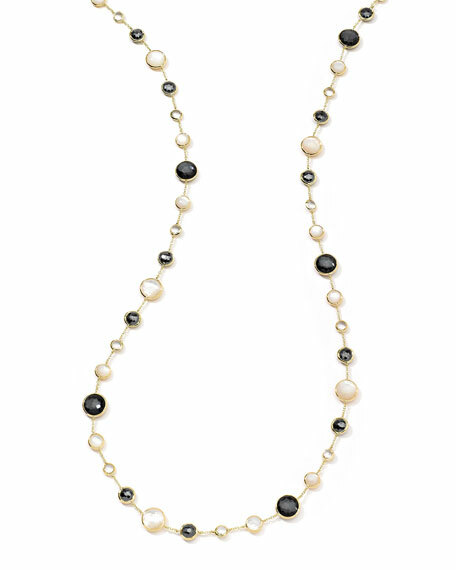 Lana Girl by Lana Jewelry pendant necklace. 14-karat yellow gold chain. 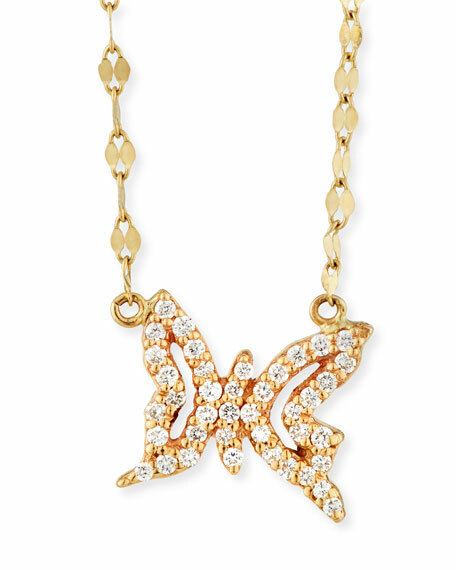 Integrated pav diamond butterfly charm. 0.184 total diamond carat weight. Approx. 16"L. Imported. 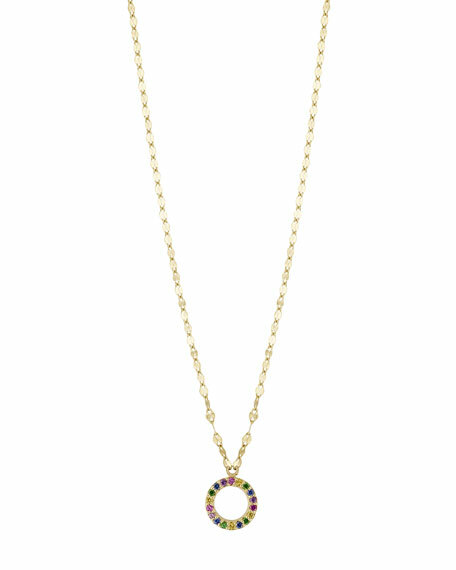 Lana Girl by Lana Jewelry open circle pendant necklace. 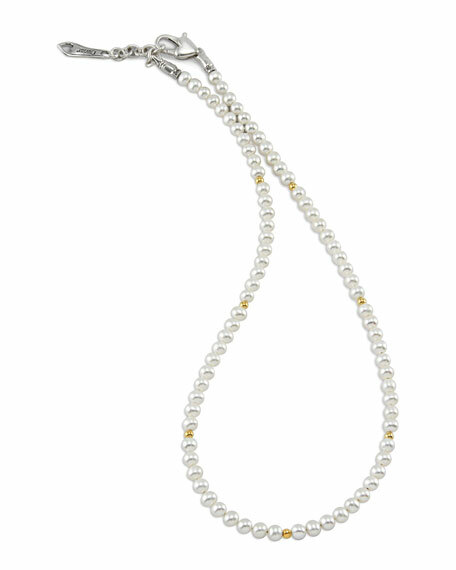 14-karat yellow gold flat link chain. 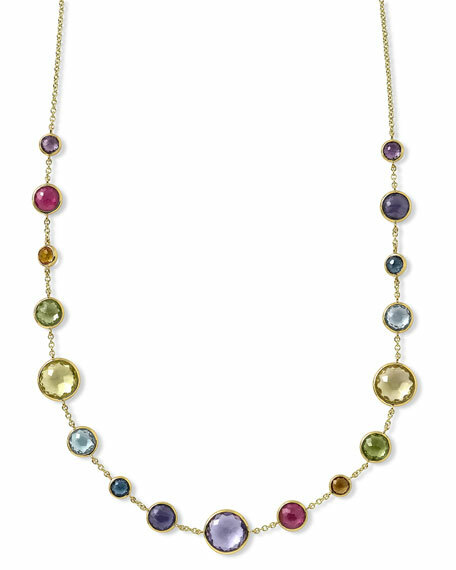 Multicolor sapphires trim circle pendant. Approx. 18"L.